Home Perspectives What a Friday! I travel a lot by air. Last week I was on one such trip when I left my home in a suburb of Philadelphia very early in the morning to be at the airport by 6 a.m. There was no direct fight to my ultimate destination in Chattanooga, TN. 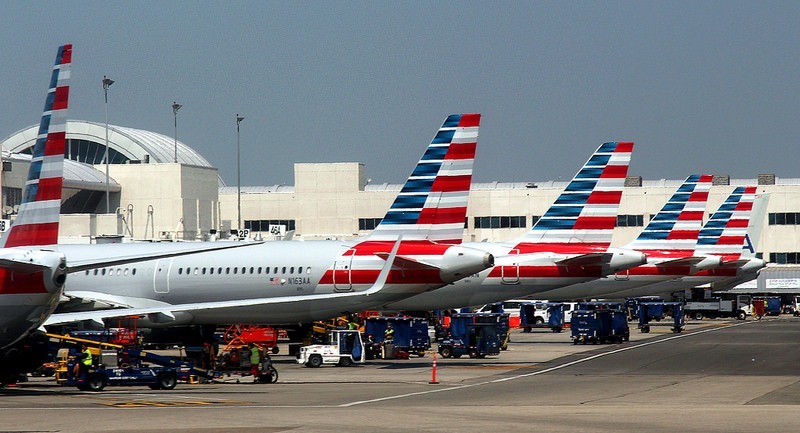 My American Airlines (AA) flight took me first to Charlotte, NC, one of its major hubs before I boarded the connecting flight. After a very busy week of providing training at a manufacturing site, I was scheduled to get back home from Chattanooga (CHA) on Friday. Unfortunately, I could not. On Thursday night I got a message after 10 p.m. on my smartphone from the airlines stating that my connecting flight AA1798 out of Charlotte (CLT) to Philadelphia (PHL) on Friday night at 8:42 p.m. had been cancelled and that I had been rebooked to fly on Saturday at 7:45 p.m. via flight AA5517 from CHA to CLT. There was no message for the next leg of the journey to PHL. Next morning, I asked the administrative associate at the manufacturing site to see if she could contact the American Express (AmEx) travel agent and arrange for an earlier flight out of Chattanooga. Efficient as she was, Kathy did not surprise me and told me during my class that she was able to find the only empty seat available for me to take an earlier flight at around 11 a.m. that was scheduled to arrive in Charlotte at 12:25 p.m. and then I could take a connecting flight at 1 p.m. outbound for Philadelphia. I travel very light and had a small carry-on bag besides my computer bag. Since the air carrier was a small plane between CHA and CLT, all passengers are required to leave their carry-on bags near the plane door, which are returned near the door of the plane after the flight. My years of air travel have taught me that the bag pickup process usually takes more than 10-15 minutes after the plane comes to a gate. Knowing of the short connection time in Charlotte I decided this time to check in my carry-on bag, which would allow me to catch the connecting flight faster than if I were to wait at the gate to pick it up. The weather was great and the plane left on time and landed at the Charlotte airport shortly after 12 noon. There was, however, something wrong at the airport with many planes scattered and waiting on the runaway. It took unusually long – almost half an hour – for our plane to stop near a gate. [The passengers had to walk from the runway to go inside the airport terminal. I later learned that there was a ground stop at CLT airport – meaning no plane could fly in or out of the airport because of the visit of President Trump to the city to attend the funeral of Christian pastor Billy Graham.] I was feeling nervous about the delay. Little did I realize that my next flight to PHL had been canceled before my CLT flight from CHA was airborne. As soon as I could switch on my cell phone inside the plane, I noticed a message waiting for me from AA.com, sent at 11:24 a.m., stating that my flight AA2054 from CLT to PHL had been canceled. The next message said that I was rebooked for March 3 flight at 7:25 a.m. from CLT to SDF. There was no mention of flight from SDF to PHL. Needless to say that I felt cheated and was very upset with the news. If the airlines had told me that there was a strong possibility for such a flight cancellation in CLT, I would not have taken the flight out of CHA. It was late to undo the latest outcome. Once inside the airport, I quickly called AmEx travel agent to see if she could put me on any flight to PHL. She said that there was a flight heading out for PHL at 4:35 p.m. that day in which there was an available seat that she could put me in. I was happy with the new reservation and approached a counter and got my new ticket issued replacing the old one. Because the next flight was not due to leave until a few hours later I started to walk to my new gate for departure at a slow pace. It was a long walk. I pulled out the day’s newspapers, which I had brought from CHA, from my computer bag, and started reading all the important global and local news. At around 3 p.m. I checked my phone to notice that an AA message had been waiting in my message box since1:27 p.m. My flight AA559 to PHL had been canceled. I was devastated by the latest news and called my taxi driver back in Philadelphia that I was not coming on Friday. I again called AmEx travel agent who said that with the stormy weather in the north-eastern USA, hundreds of flights had been canceled and that there was nothing she could do except trying to find a hotel in Charlotte and rental car for me. She advised me to talk to AA Customer Assistance for any assistance with my flights. It took another two hours before I received the call from AA agent. She told me that because of force majeure case the airline was not going to find a hotel for me and that I should find my own lodging or stay inside the airport for nearly 24 hours. It was an unacceptable offer. I asked her if she could find any flight back to Chattanooga because I knew that I could stay in the same Hilton hotel where I had stayed. She said that if AA took me there, that would mean the end of my flight with the ticket I had purchased and then the airline was not obligated to take me back to PHL. However, the airline was willing to take me to any other place where AA was flying, subject to availability of a seat in that flight. I asked if I could fly to Atlanta, GA. She said that there was no empty seat available for me to take. After several minutes of searching, she said that she could book me for a flight (AA 745) to Houston that night that would leave around 8 p.m. and bring me to the city at around 10 p.m. However, she cautioned me that no seats are available for flights to Philadelphia (PHL) airport on Saturday. I could take an early afternoon flight out of IAH at 1 p.m. on Sunday that would bring me to PHL at around 6 p.m. I agreed. She said that I should be able to get the new ticket issued for IAH from any counter. By that time, I had already moved up in the queue to stand in front of the Customer Assistant. After stating my case, she printed out a ticket and advised me to go to the baggage claims area to get my checked-out bag.